I have added a few inches to my waist ever since Istarted my PhD. I guess all the sitting in front of computers and rich food with very little physical activity does that. 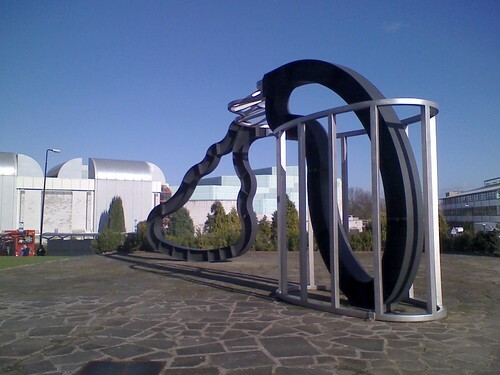 Anyway, finally decided to pay the University Gym a vist. So last Saturday I joined my friend Luiz and went to the Gym. The last time I went to a gym was about 3 years ago. Paid £1.70 for entry into the sports centre and £2 to use the gym. Spent more than an hour trying out the various machines. Felt like I lost a few pounds. Really had fun and regret not going earlier. Will defnitely be going back again. At the Rootes building ground floor toilet. 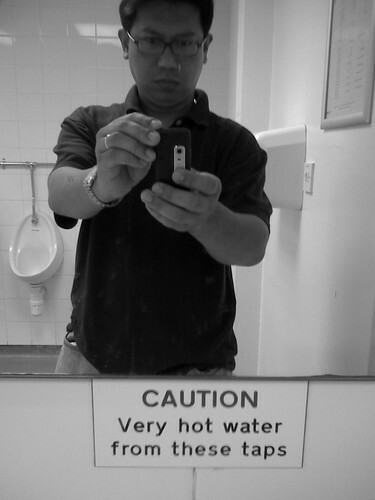 "CAUTION Very hot water from these taps"
And they are not joking. Burnt my hands the first time I used it.